When I was a lowly freshman hanging around the Yale Peabody Museum, one mind-opening surprise was the unrestrained joy of paleontological language. I’d been a dino-geek since the fourth grade. I knew a dozen duck-billed dinosaurs by name — their technical names. I’d met Corythosaurus casuararius and Saurolophus osborni face-to-face in the exhibit halls of the New York museum. The term “bug” was a term of paleontological endearment. Tiny, microscopic fossils were “bugs.” The paleo folks squinting down their microscopes searching for single-celled fossils said they were searching for “my beloved Early Paleocene bugs.” Field expeditions looking for tiny Jurassic mammals spoke of “furry bug jaws,” a.k.a. the dentigerous rami from Paurodon, Docodon, and Ctenacodon. Gigantic species, too, were encompassed by the affectionate buggy label. A trilobite or “dino-bug,” as they are affectionately called in the paleontological community. Our HMNS trilobite display is among the very best in the world. 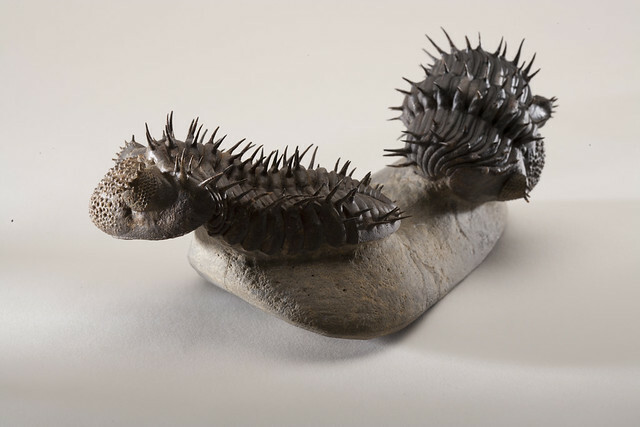 All our many trilobites are identified by genus and species, family and geological age. There’s a compact but precise scientific family tree of all trilobites, showing their Darwinian booms and the puzzling busts of extinction. But, since we are very fond of every single trilobite specimen, we are are quite happy to call them “bugs,” too. The only way to experience the joy of paleo-nomenclature in all its multi-levels is to visit our hall, stroll past the petrified bugs, puppies and mini-monsters, and thereby absorb the wonder of the Deep Past. I am pleased that someone of your renown would address my complaint. As an educator, I have often had to set about correcting what has been erroneously advertised or displayed as a biological fact. The most glaring example is the use of Saguaro Cactus in advertising depicting Texas. As we know that species does not occur naturally in Texas ( a few botanical gardens in Texas have them…one can see them in the garden at the Judge Roy Bean Visitor Center, in Langtry…which also is a good Cretaceous fossil area!). Or, how about those “flying dinosaurs” like Quetzalcoatlus. Hey, I know germs are “bugs” and maybe it is the catch all aspect of the term that bothers me. I often point out that the term “bug” IS a “catch-all” term used by scientist. And, as you state in your blog, “But real-life paleontologists in the Yale lab addressed their favorite fossils as if they were family pets”. These are professionals at universities. The context in which the term “Bug” was used in adverting the new Hall perpetuates the term “Bugs” among the lay person that travels the roadways of Houston. As long as HMNS clarifies it’s “terms of endearment”, which they have done and probably will continue to do, regarding classification, then cool. I guess as I wander through the new Hall of Paleontology, I’ll be the only one who will cringe when a kid yells to his dad/mom, “Look at all those cool bugs!” when they stand viewing Trilobites. You have had a great influence on me and my son. He’s one of those guys who was mastering the names, and all facts associated with those fast moving “hot blooded” dinosaurs, when he was five or six. 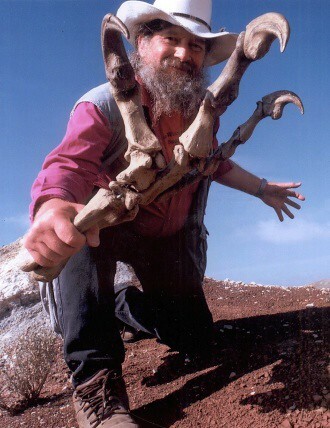 His paleontological course work was sparked by your field work, articles, and books. Thanks for all that you do for education and I am glad that you are a part of the HMNS community of curators and educators.